I drew these two future superstars at an event at Regions Field recently. Thanks to Anna (on the right) for sending me the photo to share here on my blog. 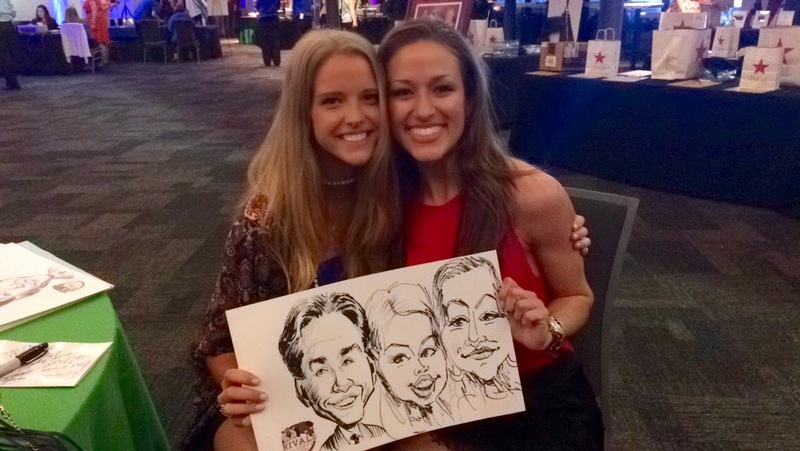 If you're wondering why Nick Saban is included in their drawing, that was part of the "Rivals for Wishes" Auburn/ Alabama theme of the fundraiser. So the paper had been pre-printed with each of the head coaches, and those being drawn could take their pick.